David Byrne’s Survival Strategies for Emerging Artists — and Megastars. Iceland’s other great import has been Sigur Rós. The sounds of falsetto Icelandic dialect enveloped in ethereal instrumentation provides a complimentary counterpoint to the fabulous Björk. With Sigur Rós on permanent hiatus, the lead singer and guitarist, Jónsi, is releasing his first solo album entitled Go. “Go Do” is the from this album. One of the most mesmerizing performances that I have ever experienced was The White Stripes at the Roxy in Boston. This duo of guitar and drums plus vocals hypnotized the room with a sound so full and rich that it was hard to believe that there were just two people on stage. Jack White, the guitarist and singer, has proven to be one of the great futurists of rock, exploring territories yet uncovered. From The White Stripes to The Raconteurs to The Dead Weather, his music is always fascinating and frequently transcendent. The Dead Weather consisting of Jack, playing drums on this project, along with Alison Mosshart (of The Kills and Discount) on lead vocals, Jack Lawrence (of The Raconteurs and The Greenhornes) on bass, and Dean Fertita (of Queens of the Stone Age) on guitar have just released “Die By the Drop” from their forthcoming album Sea of Cowards. Although a number of musicians have made the transition into film, rarely do movie stars succeed in their attempts to cross-over into the world of rock and popular music. Adequate or respectable at best (Billy Bob Thornton, Kevin Bacon, Russell Crowe, Keanu Reeves), occasionally embarrassing (Don Johnson), or satirically fun (Jack Black), these are not the songs that frequent our personal playlists. I can think of only two movie stars that can legitimately make claim to a dual career: Jared Leto of 30 Seconds to Mars and Zooey Deschanel of She & Him. She & Him, the duo of Zooey and M. Ward have just released their second album: Volume Two. “Thieves” written by Zooey is the Song of the Day. So much new music, so little time. Just as I am ready to post, “Bloodbuzz Ohio” comes along. Cannot wait. An amazing new song from the Brooklyn via Ohio band The National. Play it over and over. And it’s a free download at The National site. Franz Liszt is a Hungarian composer and piano virtuoso who lived in the 19th century. Lisztomania was an actual phenomenon throughout Europe akin to Beatlemania. Equivalent to our modern day rock star, Liszt’s showmanship and mesmerizing stage presence lifted audiences into a near hysterical frenzy. Women particularly adored him and fought over pieces of his clothing that he would throw into the audience, and they shed theirs as well. Broken Social Scene, the music collective from Canada will soon release their first album in over 5 years. “Forced To Love” is from the forthcoming Forgiveness Rock Record. The band is also offering a free download of “World Sick” from the same album on their website. HOW does one react to the death of one’s mentor? My mind instantly slammed down the inner trouble-door that guards against all thought, emotion, sadness. Survival mode. Rock guitar players are all dead men walking. It’s only a matter of time, I tell myself as I finger my calluses. Those who fail to click with the world and society at large find safe haven in music — to sing, write songs, create, perform. Each an active art in itself that offers no promise of success, let alone happiness. On Big Star’s masterpiece third album, Alex sang my favorite song of his, “Nighttime” — a haunting and gorgeous ballad that I will forever associate with my floor-sleeping days in New York. Strangely, the desperation in the line “I hate it here, get me out of here” made me, of all things, happy. He went on to produce more artistic, challenging records. One equipped with the take-it-or-leave-it — no, excuse me, with the take-it-like-I-make-it — title “Like Flies on Sherbert.” The man had a sense of humor, believe me. It was some years back, the last time I saw Alex Chilton. We miraculously bumped into each other one autumn evening in New York, he in a Memphis Minnie T-shirt, with take-out Thai, en route to his hotel. He invited me along to watch the World Series on TV, and I immediately discarded whatever flimsy obligation I may have had. We watched baseball, talked and laughed, especially about his current residence — he was living in, get this, a tent in Tennessee. Because we were musicians, our talk inevitably turned toward women, and Al, ever the Southern gentleman, was having a hard time between bites communicating to me the difficulty in … you see, the difficulty in (me taking my last swig that didn’t end up on the wall, as I boldly supplied the punch line) “… in asking a young lady if she’d like to come back to your tent?” We both darn near died there in a fit of laughter. Yeah, December boys got it bad, as “September Gurls” notes. The great Alex Chilton is gone — folk troubadour, blues shouter, master singer, songwriter and guitarist. Someone should write a tune about him. Then again, nah, that would be impossible. Or just plain stupid. In a world where many speak without communicating, a radio station CEO in Chicago has issued a memo to his news staff forbidding them to use the following words and phrases in their newscasts. “Newsspeak” has become the norm in our language, words that have little meaning or have lost their meaning, reducing our rich language to lazy cliché. We speak, we listen, but what do we hear? ■“Two to one margin” . . . “Two to one” is a ratio, not a margin. A margin is measured in points. It’s not a ratio. ■Informed sources say . . .
■Sources say . . .
Randy Michaels, CEO of the Tribune Company, to his staff at WGN-AM in Chicago. For anyone who heard Oedipus with the Clash, they weren’t all that fond of a certain Declan MacManus. In the spirit of fair play, an interview with Elvis Costello, Nick Lowe, Oedipus, and ‘BCN DJ Tracy Roach from 1978. Note: this interview isn’t actually available here on this page. But you’ll soon be able to hear it on Oedipus’ mobile app, or you can view the interview here on The Oedipus Project’s YouTube channel. We’re spanning all platforms, media, and genres in order to share great music from people you know and people you’ll want to know. “Dog Days are Over” is the next single from Florence + the Machine. Their debut album Lungs, released last summer, grew in popularity over the year, reaching #1 on the British UK charts in January of 2010. Led by London born Florence Welsh and backed by various musicians known as the Machine, Lungs won the British Album of the Year at the 2010 BRIT awards. Here are two versions of “Dog Days are Over”. The first from the album followed by the Breakage remix. I first met Peter Wolf, lead singer of the J. Geils Band, in 1977. It was a Friday evening and this was to be my very first show as a DJ on WBCN. I had just returned from MCing a gig at the Orpheum Theatre in Boston for the Ramones, Talking Heads, and Eddie & the Hot Rods. From the stage I announced that punk rock would finally be heard on WBCN. 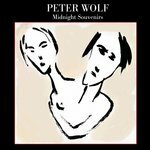 “Tragedy” is from Peter’s new album Midnight Souvenirs and features Shelby Lynne. A gorgeous song from Beach House, the duo of Alex Scally and Victoria Legrand from Baltimore.